A gorgeous facelift gives it a sleeker and more stylish finish. Even with these stylistic changes, the XC90 is still fundamentally the same beloved SUV that customers have grown to love. 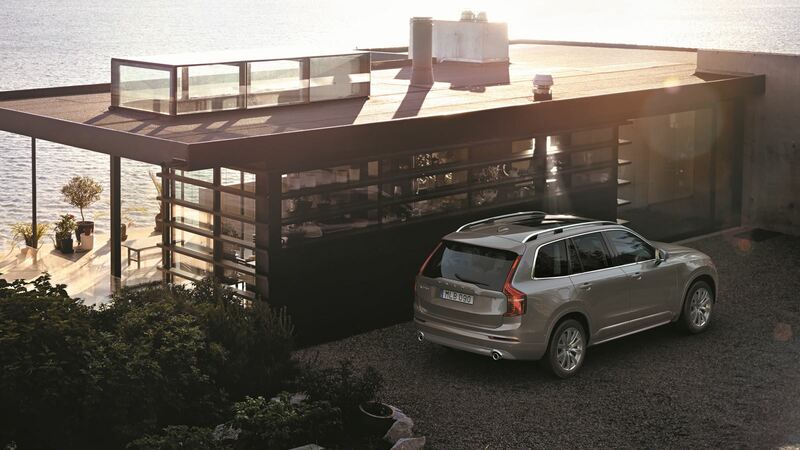 With the latest XC90, the Swedish automaker continues its history of producing safe and charismatic vehicles. Depending on the trim, the midsize SUV can hold up to seven passengers with the addition of a third-row seat. The back row seats also fold down flat, which frees up plenty of space for cargo when the vehicle is not occupied by passengers. The luxurious interior also has a semi-automatic driving system that functions as another pair of eyes on the road. The comprehensive safety system, which is one of the best features, includes blind-spot monitoring, rear cross-traffic alert, auto-dimming interior and exterior mirrors, and retractable side mirrors. Android Auto, Apple CarPlay, and smartphone integration are standard tech amenities. 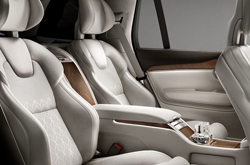 There are four trims available on the 2019 XC90, which are the Momentum, R-Design, Inscription, and Excellence. The base model, which is the Momentum, seats up to 7 passengers. Even with three rows of seats, there is plenty of room for both passengers and cargo. 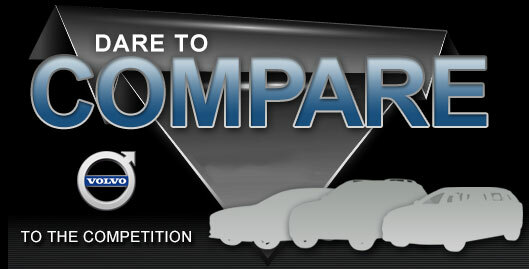 This trim level has an estimated highway fuel economy of 29 MPG, which is the leading gas mileage in its class. The Momentum is packed with an array of driver assistance tools, including an infotainment screen and navigation. Standard safety features on this trim include collision detection and avoidance, lane-keep assist, adaptive cruise control, and lane departure warning. A moon roof is also standard. The R-Design features a leather-wrapped steering wheel and gear shifter. It has a visible, centrally located infotainment display screen and a sculpted driver's seat. LED headlights, a stylish front grille, and 20-inch wheels give it style and visibility. The Inscription comes with custom leather seats, a panoramic moon roof, and ergonomically designed seats with a massage setting. On the outside, chrome accents and powerful LED headlights make the Inscription easy to see. 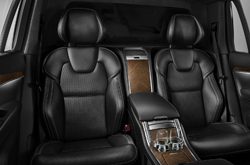 The top-level Excellence features four custom leather seats. Wood accents, an integrated refrigerator, and an armrest with cup holders in the backseat are other notable amenities of this stylish trim. What Performance Can I Find In the XC90? The XC90 is powered by several different engines. The Momentum is powered by a 2.0L, four-cylinder engine that generates up to 250 HP and 258 LB-FT of torque. Both front-wheel drive and all-wheel drive are options in this trim. The second highest trims are equipped with a turbocharged 2.0L, four-cylinder engine that produces up to 316 HP and 295 LB-FT of torque. This engine is available with an all-wheel drive configuration. The premier Excellence trim has a powerful four-cylinder engine that produces up to 316 HP and 472 LB-FT of torque. All engines are paired with an eight-speed automatic transmission. Schedule a test drive today in order to experience this powerful luxury SUV. 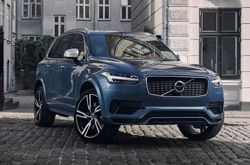 The XC90 is designed to mitigate accidents before they happen with preventative technology like the collision detection and avoidance system. The SUV also has an automatic emergency braking feature that helps the car stop automatically at speeds under 25 MPH. Other intuitive safety features are the front and rear parking sensors, rear cross-traffic alert, lane-keep assistance, and adaptive cruise control. The XC90 also comes with a handy Park Assist feature that takes the guesswork out of backing out from tight spots. Completing the XC90 safety tools is the Pilot Assist feature. This system helps drivers maintain a safe driving distance to the car in front of them. It also keeps the vehicle in the middle of the lane and warns of lane departure. Feel free to contact us if you have any questions about this vehicle.